Panel depicting a painting of a steam locomotive on a bridge in a fall forest scene with a river and clouds, framed by black borders. All aboard! Pack your bags and head out on a cross-country train trek with this collection! 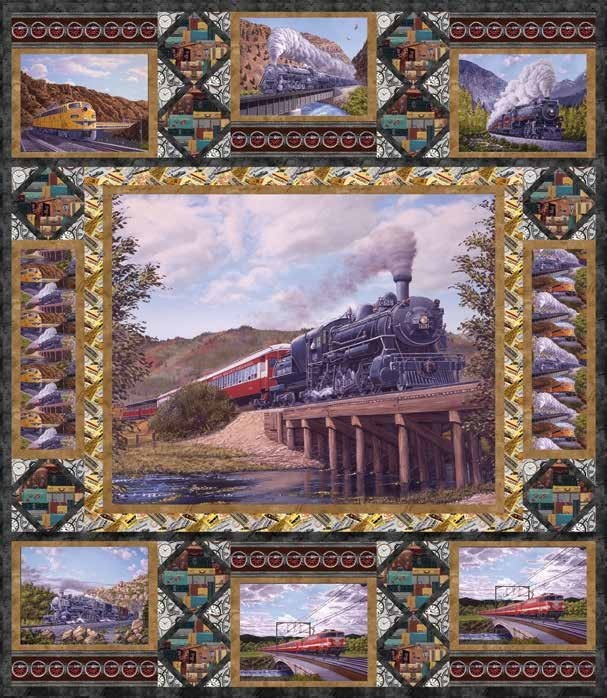 From the classic steam locomotive to the high speed magrails, you’ll find every kind of train in this fabric line displayed like oil paintings.